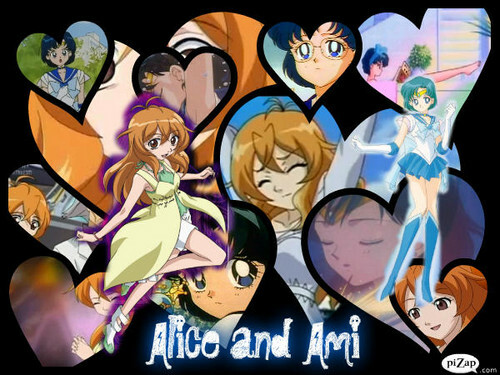 Alice & Ami. . Wallpaper and background images in the Bakugan and Sailor Moon! club tagged: sailor mercury ami mizuno alice gehabich bakugan girls bakugan sailor moon sailor senshi. This Bakugan and Sailor Moon! fan art might contain 스테인드 글라스 창.